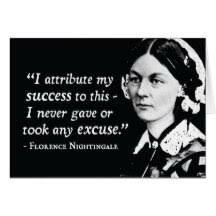 It would have been Florence Nightingale’s birthday today. This great doyen of the Crimean War and nursing reform ranks among the greatest of British reformers and is remembered with great respect and honour. 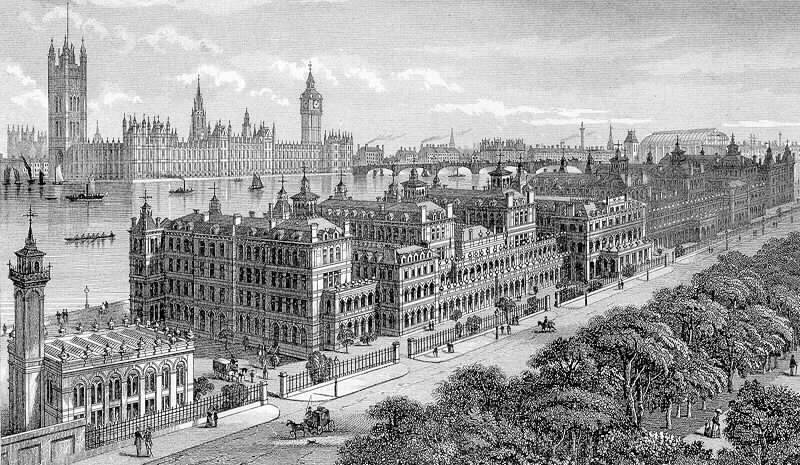 Further to her other great achievements, Florence Nightingale greatly influenced the design of the 1872 St Thomas’ Hospital with its innovative ‘pavilion style’ of seven large separate buildings connected by walkways. She used her experience and knowledge for the design to influence the architecture, to improve hygiene and health and she calculated innovative dimensions and efficient use of space in the whole area. Miss Nightingale proposed full-height windows at specified intervals in the wards, with the beds set between to encourage ventilation and allow air circulation without creating drafts. She stipulated that clean and dirty areas should be separate, so food and clean linen were stored at the ward entrance, with washing and sanitary facilities at the other end. 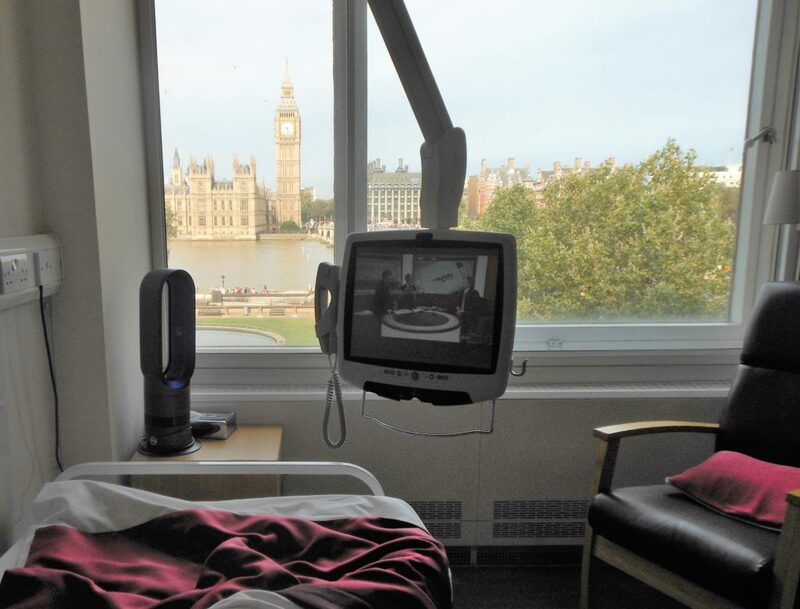 Coincidentally, I have just returned from my eighth procedure at St Thomas’s, and this time stayed in ‘Nightingale Ward,’ which is high up in the new building, overlooking the Thames towards Lambeth Bridge and South East London. This was for the main operation, following the seven endoscopies which now leave me 100% restored to health (though still sore and temporarily feeble), instead of probably demised. 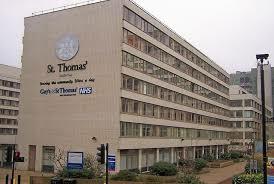 All praise to St Thomas’s and our NHS (despite its various problems). I am sure that Miss Nightingale would be proud of St Thomas’s today. I was spoiled with my accommodation for each of the endoscopies- being allowed to stay in the Simon Patients Lodge. 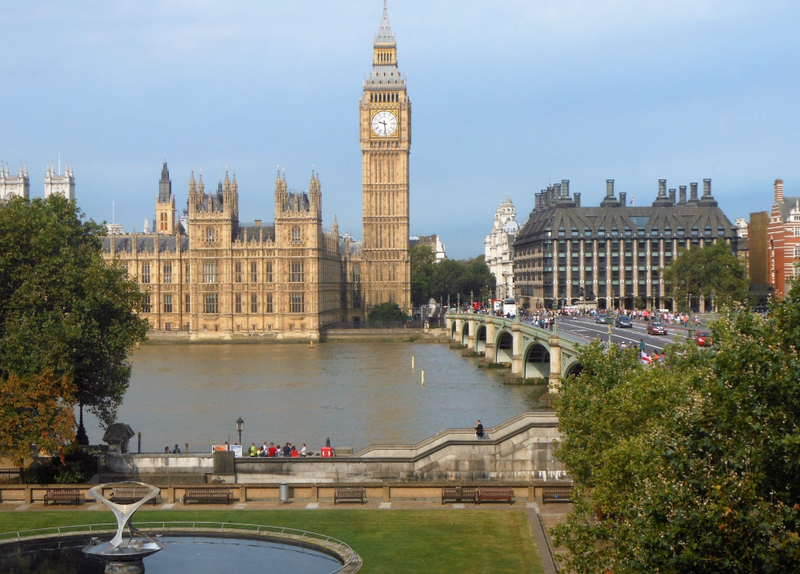 They are single rooms with en suite bathroom and most of them overlook the Thames, opposite the Houses of Parliament. As a historian, this was just marvelous, listening to Big Ben and considering the centuries of history, almost making up for the discomfort! Hospitality was extremely good. Also, coincidentally, I live near St Katharine Docks, which is the likely, alternative source for the name ‘Nightingale.’ In the 10th century, King Edgar gave land in the nearby Portsoken Ward to a group of knights, for services rendered. These knights traded at St Katharine’s, (which later had a hospital built for Queen Matilda) and formed ‘The Knightenguild.’ Hence the name Nightingale (no offence to the pretty song bird). Having written ‘The Story of St Katharine’s,’ I reflect gratefully on all this. Again ‘thank you St Thomas’s and Happy Birthday to Florence Nightingale.